Corey Ray does not have any MLB stats for the season. Draft: 2016, Milwaukee Brewers, 1st rd. April 17, 2019 San Antonio Missions placed CF Corey Ray on the 7-day injured list. April 1, 2019 CF Corey Ray assigned to San Antonio Missions from Biloxi Shuckers. 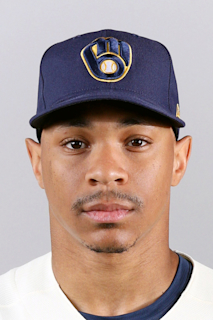 February 4, 2019 Milwaukee Brewers invited non-roster CF Corey Ray to spring training. April 2, 2018 CF Corey Ray assigned to Biloxi Shuckers from Carolina Mudcats. July 10, 2017 Carolina Mudcats activated CF Corey Ray from the temporarily inactive list. July 7, 2017 Carolina Mudcats placed CF Corey Ray on the temporarily inactive list. April 16, 2017 CF Corey Ray assigned to Carolina Mudcats from AZL Brewers. April 2, 2017 CF Corey Ray assigned to AZL Brewers from Wisconsin Timber Rattlers. January 29, 2017 Milwaukee Brewers invited non-roster OF Corey Ray to spring training. September 3, 2016 CF Corey Ray assigned to Wisconsin Timber Rattlers from Brevard County Manatees. July 4, 2016 CF Corey Ray assigned to Brevard County Manatees. June 25, 2016 Milwaukee Brewers signed OF Corey Ray.